The White House isn’t releasing information about how its top science adviser came up with the claim that global warming was the cause of the severe winter in 2014, prompting legal action by a free market think tank this week. 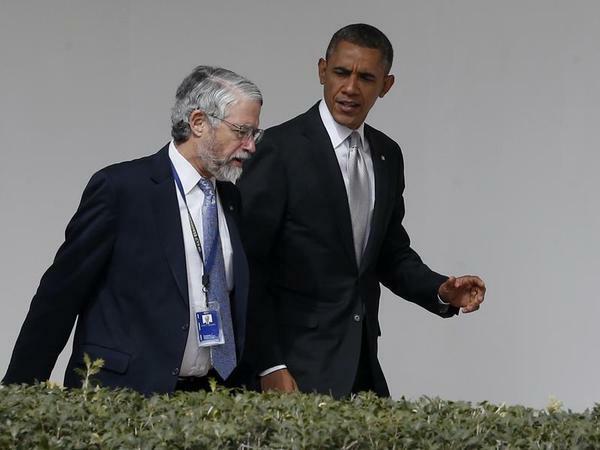 Numerous scientists, many believers in climate change, strongly disagreed with the conclusions by John Holdren, director of the White House Office of Science and Technology Policy. That’s not the issue that concerns Sam Kazman, general counsel for the Competitive Enterprise Institute, which is bringing the Freedom of Information Act lawsuit against the White House’s science office. While Kazman said this is far from the administration’s biggest breach of transparency, he still stressed it is a serious one. “It might be a minor example, but it is a particularly outrageous one because the erroneous nature of his claims are so obvious,” Kazman said of Holdren. The White House Office of Science and Technology did not respond to phone and e-mail inquiries for comment. There was broad criticism of the assertions in the scientific community, the Washington Post reported. This prompted CEI to first ask the White House science office for a correction, citing the federal Information Quality Act, which prohibits government agencies from delivering false information. The office denied the petition, saying that Holdren was offering a personal opinion, which is exempt from the law. At that point, CEI filed a Freedom of Information Act request for documented related to the video’s production, and the research to back up Holdren’s opinion. The science office turned down the request saying the records are part of its “deliberative process.” So CEI filed the FOIA lawsuit to compel the office to provide the records. It’s bad enough if tax dollars were used to promote an opinion, Kazman said. But Kazman added, the opinion was presented as fact, even if it conflicts with peer-reviewed published science. TheBlaze is available on channel . Unfortunately, TheBlaze is not available on . But you can help! Call at or press CONTINUE to email your provider and urge them to add TheBlaze to your channel lineup. But you can help! Press CONTINUE to email your provider and urge them to add TheBlaze to your channel lineup. I would like to receive news and information from TheBlaze. While you're waiting for your TV provider to get TheBlaze, sign up to watch it online now. Submitting your tip... please wait! There was a problem submitting your tip. Please help us fight spam. Follow the instructions below to prove that you're a real person.